"They say our life in its entirety flashes through our mind as we pass on from this earth. But life is about living and connecting with our past and does not have to wait for the end game. 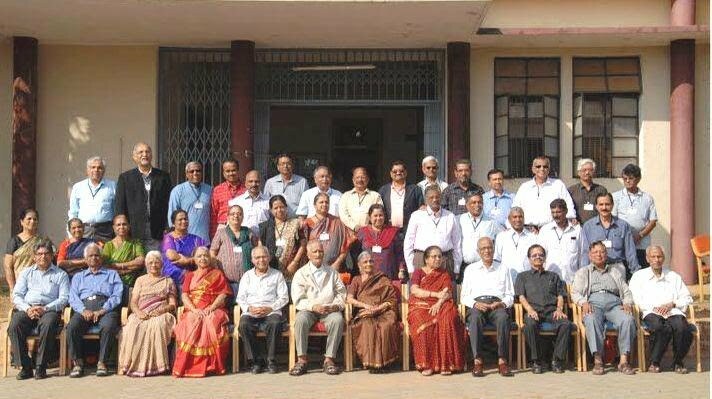 Many thanks to all of you who have taken the initiative to get the batch of 1971 together for a reunion. I would have liked nothing better than to be there with you and to reconnect after all these years. DMS, my classmates and my teachers hold a dear and special place in my heart. For it is at DMS, most of us learned about the world around us. DMS gave us a solid foundation to launch ourselves and put our footprint on this world. The education we got in DMS was unlike any other school in Mysore. 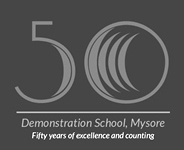 In a system where rote learning was the norm, DMS taught us to think for ourselves. Who can forget SJP showing us the world in all its glory in Geography class, KR connecting us to the best in English literature and encouraging us to be better debaters and writers and how about SK and SL teaching us languages? PRR and CNN sparked our imagination with the many possibilities through their science classes and TGS kept us in line with his booming voice. Hebbar taught us the importance of sports and keeping fit. MSK showed us our place in history and why India is such a rich tapestry of cultures, languages and religions all the way from Mohenjadaro to Buddha to the Moguls and then the British and finally India as an Independent nation. How about the many extracurricular activities that DMS exposed us to like the Model United Nations, Pottery, Painting, Baseball, Inter-school music competitions, General Knowledge competitions and the list goes on and on. And to all the other teachers who sparked our imaginations and taught us so much, my humble thanks to you. Through your sincere efforts, you have produced world class engineers, doctors, economists and entrepreneurs who are creating a better world through creating medical products, green technology initiatives, leadership positions in government and building better computers and they are scattered all over the world. We, the students came from many backgrounds, from all parts of Mysore and the rest of India and a few even from the US - from all socioeconomic and and religious backgrounds. It made our experience richer and we got along famously. We sadly miss Sohinder, Anadarajan and Nagaraj who were taken prematurely from us. And to all my classmates who have gone on to build productive lives, make their mark in this world and create wonderful families, my congratulations."